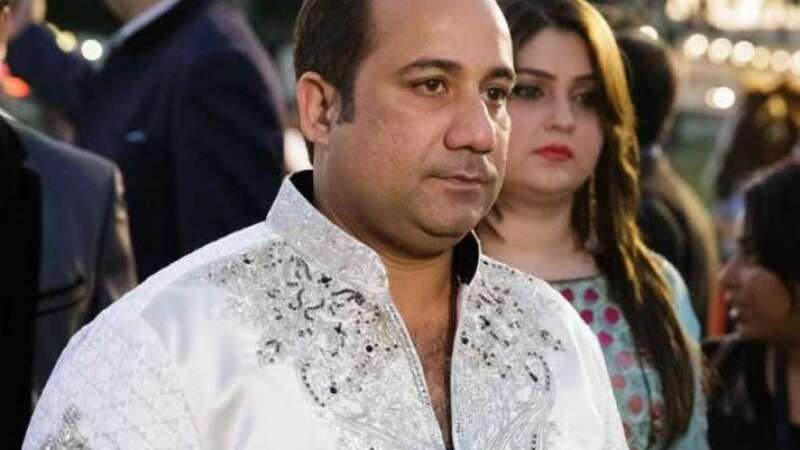 New Delhi : Renowned Pakistani Singer Rahat Fateh Ali Khan has been blamed of smuggling illegal foreign currency in India for three years now. ABP News reports that Khan had collected Rs 2.42 crore through illegal means of which he reportedly smuggled Rs 1.6 crore. Following news report, the Enforcement Directorate (ED) in India is currently investigating the case. Accordingly, a notice has been issued to Khan and has sought his response regarding Rs 2.61 crore under scanner. If he is able to give justified reasons, then ED can ask Khan to pay 300% as penalty. In case of its non-payment, a lookout notice is likely to be issued against the singer and he’d thereby be forbidden to perform anywhere in India. To inform, this is not the first time that Khan has been embroiled in controversy related to illegal currency. In 2011, he was found with undocumented Rs 89.1 lakh at Delhi’s Indira Gandhi International Airport. Rahat Fateh Ali Khan, a native of Faisalabad in Pakistan is well-known for his signing magic. He has given super-hit song Jiya Dhadak Dhadak in Kunal Kemmu’s 2005 film Kalyug. Since then he has sung several popular tracks for blockbuster films, including Tere Mast Mast Do Nain (Dabangg), Teri Ore (Singh Is Kinng), Sajda (My Name Is Khan), Teri Meri (Bodyguard) and Jag Jhoomeya (Sultan).